(UK and US) use this book. Relax ... Open the book. The pristine majesty and scale of the Sahara's little known landscapes unveiled – with a plea for their protection. 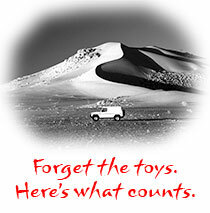 No mere picture book, a personal journey told through superb photography and ultra-sharp Italian stochastic printing. A long-overdue hymn to the inspirational majesty and tranquillity of a region ill-served by the minuscule attention-span of Anglophone media. 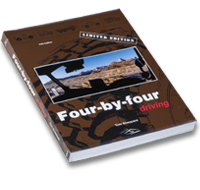 Like ‘Four-by-four Driving’, VDEG was originally commissioned for and used by Land Rover and has become part of Special Forces instructional material – also sold in 56 countries worldwide. 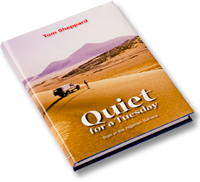 Author Tom Sheppard has over 100,000 miles overlanding and expeditioning under his belt. 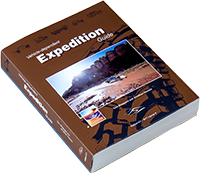 VDEG.4 was a major update and the 100-page expansion with content on US and Australian equipment added by co-author Jonathan Hanson – the power behind the three-day Overland Expo in Arizona and North Carolina. VDEG.4.1 builds on this with updates, a totally revised section and, not least, a full colour addendum on photographic gear. For reduced shipping costs, customers in Canada, north and south America can buy VDEG 4.1 from a US distribution point – click below.